George is the Head of Digital Product, responsible for the digital experience of 7 million digital channel users across HSBC's UK retail businesses, HSBC and first direct. He oversees all aspects of UK Mobile and Desktop Banking services, including platform delivery, product on-boarding, servicing and secure access. His career spans 22 years at HSBC, with diverse roles covering the Branch Network, Contact Centres and Head Office functions including Credit Risk, Change Delivery and Customer Value Management, culminating in his present position in UK Digital Bank. 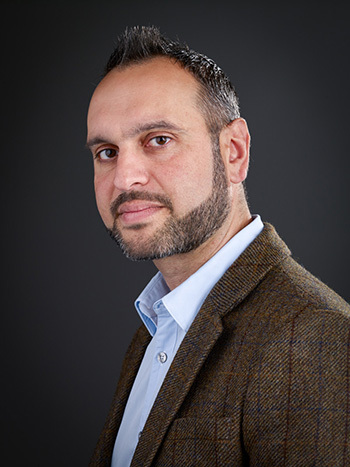 George has driven a number of key step change programmes for the organisation over the course of his career including the delivery of Positive Data Sharing, Contactless Cards, Paym mobile payments service and Apple/Android/Samsung Pay solutions. More recently, George assumed leadership of the Digital workstream for the UK Retail Transformation Programme, simplifying and enhancing customer’s experience of the retail bank via the delivery of a number of transformational change projects. Through sponsorship of the Assisted Digital programme, George also supports leveraging these solutions to better serve customer and colleague need in our distribution channels."